Screen Research's range of MCS motor control systems offer a simple, effective and reliable way of providing a control interface for any motorized screen. With a comprehensive range of input control protocols: 12V trigger, Infrared, Radio Frequency, RS232 or TCP/IP, each system can operate as a stand alone system, with its own remote control, or integrate into a bespoke, third party control system using these protocols. The modular nature of the MCS systems permits independent motor control providing the ultimate flexibilty in masking and screen control. Provision of a custom software interface for PC, allows recalibration of the factory presets or alteration of originally specified masking ratios to meet the demands of your home theater system as it evolves. 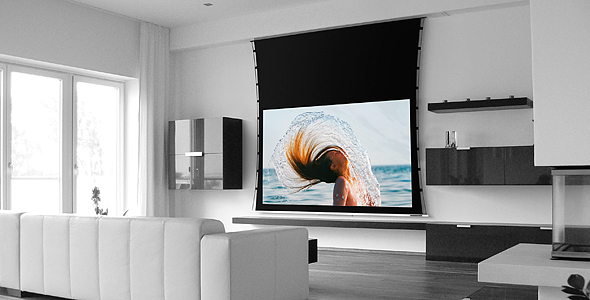 Systems are offered in packages to suit every screen and have a wide range of optional extras available to allow complete system customization and tailoring to your control requirements.